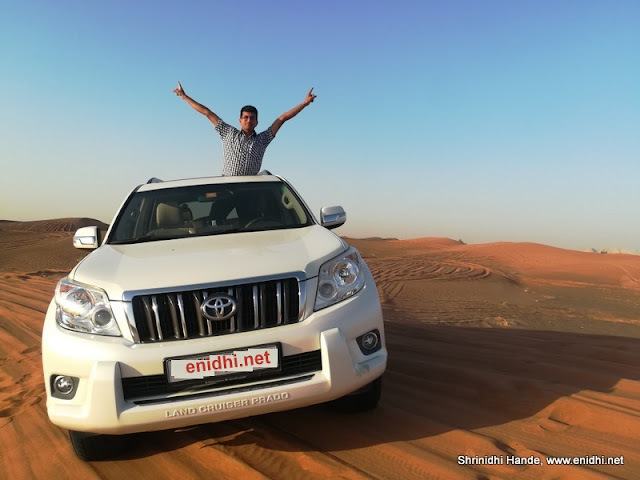 Home / Adventure / Asia / Automobiles / Travel and Living / UAE / New Idea for Dubai Tourism-Self Drive SUV Dune Bashing! 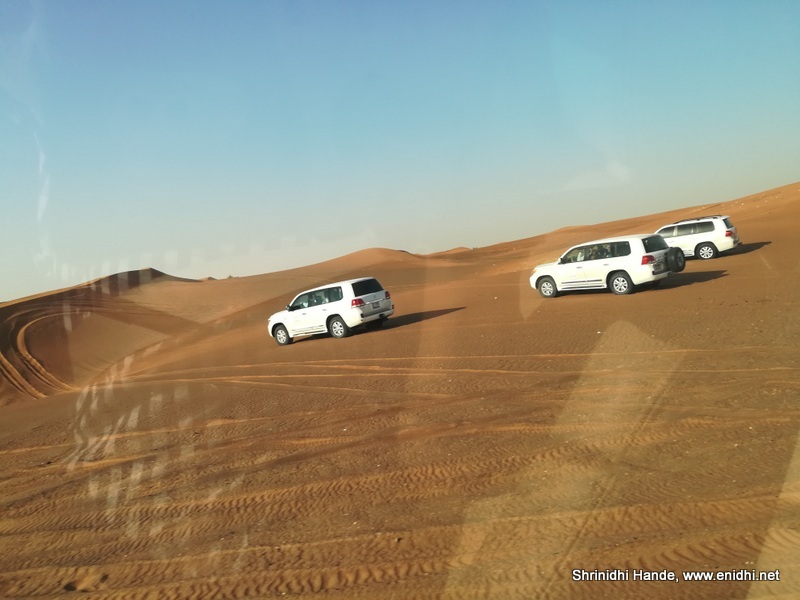 New Idea for Dubai Tourism-Self Drive SUV Dune Bashing! I have a new idea for Dubai tourism- to facilitate self drive dune bashing/desert safari for guest who prefer to drive than sit as a passenger. I've done all the ground work in this post- Dubai Tourism only has to implement the same, if they find the proposal viable. Most quests can afford to pay a premium for this experience- not catering to this market means lost opportunity and revenue. Guests willing to experience self drive dune bashing should be able to pay an hourly rent and book the SUVs. Undergo a brief safety briefing that tells them about the controls available in the vehicle, Do's and Don'ts during desert safari and other safety instructions. Guests to sign an indemnity bond and may be pay a deposit (or block amount on card) for security. Once briefing and formalities done, guests can get in their allocated SUVs and first drive on the test track. Once they demonstrate their control on the vehicle (say shouldn't touch any cones placed on the edge of test track) they can be cleared to hit the actual sand dune. Guests can enjoy driving off-roading in the designated track- in case they get stuck the rescue vehicle can pull it out. With this, guests will have a satisfaction of driving in the desert, can go home with an unique experience. 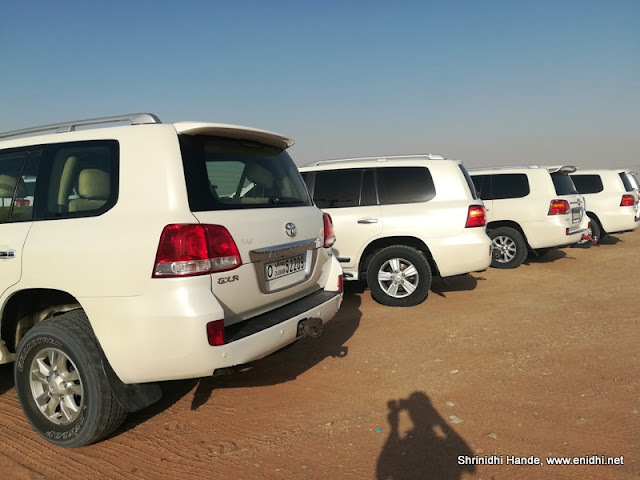 This doesn't call for huge investments- a few SUVs to begin with (A landcruiser Prado just costs about 30 lakhs INR equivalent in Dubai, which is pocket change for Dubai tourism), a dozen staff members and some minimum infrastructure. If the self-drive desert safari gets popular with tourists, then more such centres can be opened or area can be expanded further for longer, more serious dune bashing trails. Get proper insurance coverage- minor damages can be recovered from guests who caused it, major damage is any can be claimed from insurance, so as not to financially burden the visitors. Tie-up with car manufacturers- Building this facility in association with or with sponsorship from car manufacturers (like Toyota, Jeep etc) will reduce the capital investment further. Car manufacturers who need to promote their new SUVs or wish to familiarize their customers/prospects with off-road capabilities of their SUVs can bring them here to this new facility and let guests/customers experience off road driving under supervision. The legality- Since this off-road driving is done in a controlled environment under expert supervision, driving license requirements can be relaxed- there is no danger to generic public from this activity. As long as a guest has a valid DL in his/her come country and can demonstrate safe driving on the test track, he/she can be allowed to drive on the sand dunes- similar to how guests are now allowed to drive a Ferrari in Dubai (or Singapore) in designated areas under supervision. Risk involved with this proposed self drive off road adventure is very minimum, at par with any adventure sports. Major accidents- very low probability as modern SUVs are very safe with stability control, multiple airbags etc. Even if SUV topples it won't be life threatening. Roller cage can be added to SUVs for extra safety. Standby Ambulance can provide required medical assistance. Track can be monitored using CCTVs- any one indulging unsafe driving practices can be reprimanded over radio and repeat violators can be asked to stop their drive. Low patronage: If such a centre can be started I am sure it will get huge patronage- both residents who don't own a 4x4 (or own one but don't have required permits/confidence to do solo desert safari) and tourists who are keen to experience dune bashing self-drive. What do you think of this idea? Will you pay a visit if an self-drive option to explore sand dunes in the desert is provided? Interesting suggestion. The major risk for the companies is that they need to give the steering from a professional to an amateur. Amateurs can drive a ferrari today. There's no reason why they can't be allowed to drive a Prado- if they are confident, can pay a fee and security deposit. If they're not driving safe marshals on duty can ask them to pull out. I think they should consider the idea.